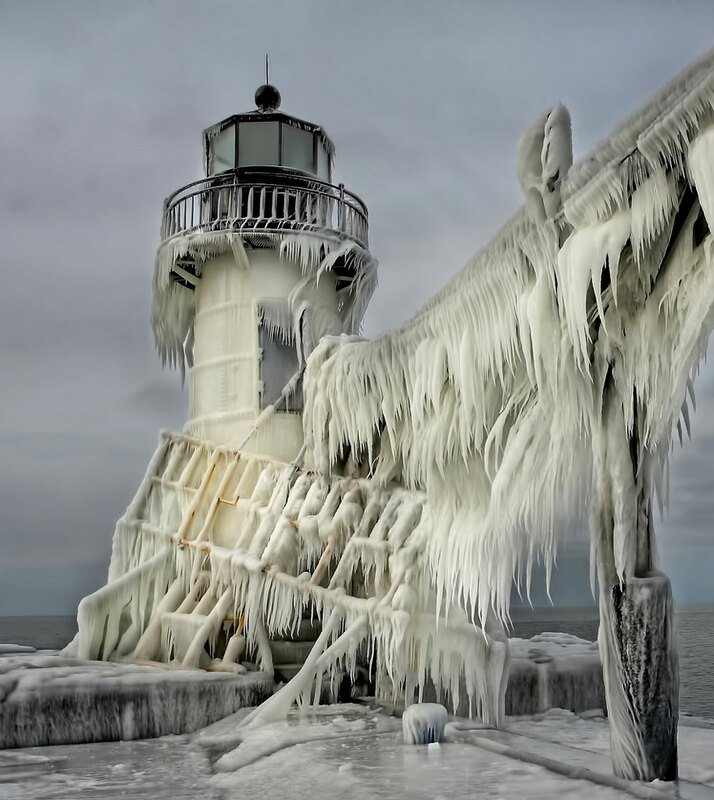 There is little more romantic and tragic as the life of a lighthouse keeper. It was a lonely isolated business that involved long hours with nothing more than the pounding of water on the rocks and cries of seagulls for company. In that very isolation, a sort of cabin fever syndrome could create some pretty tragic outcomes. Let's have a look at the life of a lighthouse keeper of the past. New London Ledge Lighthouse in Connecticut was established in 1909 and designed to fit in with the homes on shore so residents wouldn't have to look out an out of place building offshore. The legends built around the active haunting in the building involved a man named Ernie who supposedly slit his throat at the top of the lighthouse and his body fell to the sea below, never to be found. To this day, Coast Guard staff have reported odd happenings in there, attributing it to Ernie. 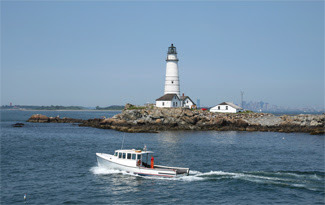 The Boston Light, Boston Harbor, Massachusetts was the first lighthouse in the New World. 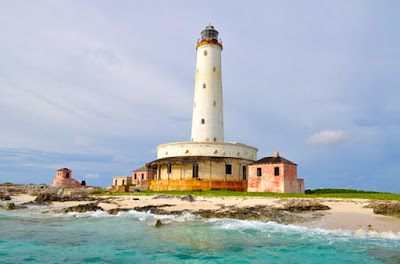 At first, in the 1600s, locals lit fire on the land there, but in 1715, a lighthouse was erected. The daughter of the first lighthouse keeper stood on shore waiting for her father to take a canoe out to a ship and bring family and friends ashore, when it capsized and she watched them all drown. The next lighthouse keeper drowned within days of taking on the job. 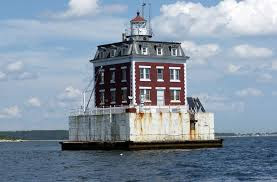 The lighthouse saw much damage during the Revolutionary War and rebuilding. This is a wonderfully romantic tale that was published in a small publication long ago. Legend says that Antonio Bay was built in 1880 with blood money obtained from shipwrecked lepers but no one believes it. On the eve of the town's centennial many plan to attend the celebrations, including the murdered lepers. A lighthouse keeper has been murdered in mysterious circumstances and, during the ensuing investigation a Phantom Light keeps appearing at the scene of his death. The Lighthouse Keepers is a silent, black and white short, shot as a 1920s style horror melodrama. It tells the dramatic story of a pair of lighthouse keepers, a father and son, who meet a sorry fate in isolation, while carrying out their duty. The Lighthouse Keepers was filmed on location in an historic lighthouse on a dramatically placed Northern Irish island. Using silent film techniques the story unfolds with minimal dialogue and makes use of expression, music, and inter titles to tell the story. The high drama of the situation lends itself well to this means of filming and the melodrama leaves space for innovative use of the live music and sound effects accompaniment that is central to live screenings of the film. A prison ship on its way to a remote island prison runs aground on rocks and sinks. Mixed survivors of cons and prison guards struggle ashore, only to discover to their horror that another survivor has made it ashore before them. Murderous psychotic, Leo Rook, who not only had a hand in the ship's sinking but has decapitated all but one of the island's lighthouse crew. Stranded, with no means of escape or call for help, the survivors must face a night of terror as they know that since they've learned that Leo survived going down with the ship he can't let any of them live and is hellbent on adding their severed heads to his collection.